I had a welder slap one on for me. 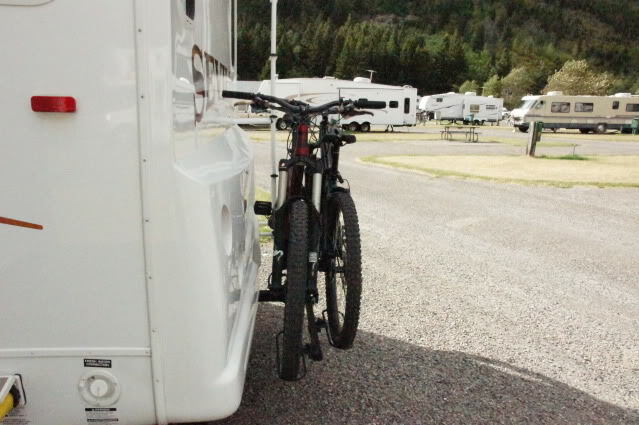 Carries our bikes all over the place and no issues. Just made sure the fresh water tank had a few gallons in it before we started welding to avoid any issues there. 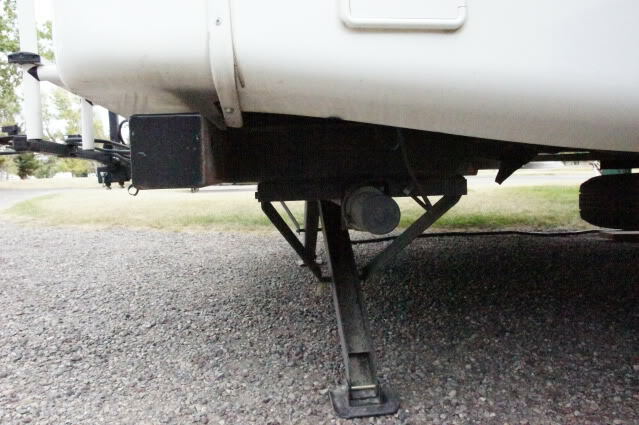 Welded the rear stabilization jack to the hitch. Easy to buzz off if needed. heres mine...two receiver tubes welded to each frame rail(no wobble at all. i did'nt care about voiding the waranty. NOT A SEVILLE FRAME - TOTALLY DIFFERENT TUBE CONSTRUCTION. 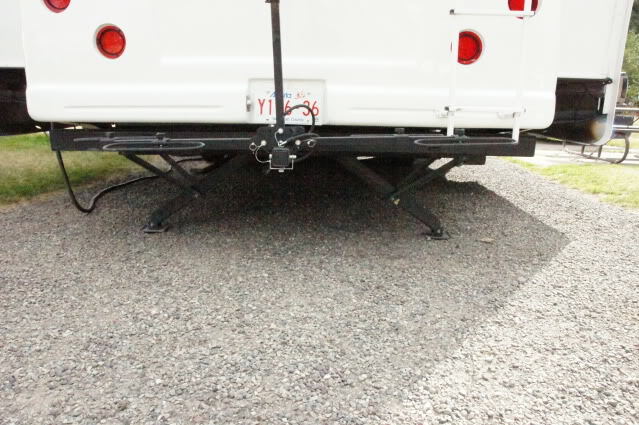 "receiver hitches on your rv car"
You can also get a clamp-on receiver. It goes on the bumper (kind of like the tire carriers). I haven't purchased one yet but I have considered it. Google it or look on E-Bay and you will find one quickly. Got about 25,000 miles on this setup. Works very well. No wobble at all. Built much heavier than required, but that is better than the other way around! Do not attached a clamp on to your bumper. 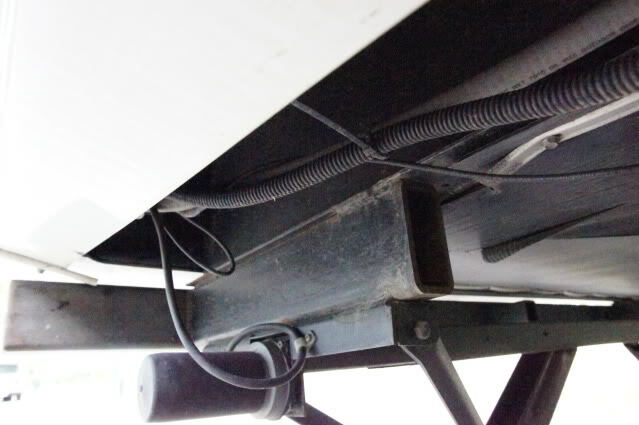 Your bumper can not handle it and it will be ripped off the back of the rig. All the replies about using a "clamp-on" receiver - but no one ever looks at the "bumper" on a Seville. THERE IS NO BUMPER !!!! Rear fiberglass cap covers rear frame tube completely. And framework underneath is much different that any other exaples given. 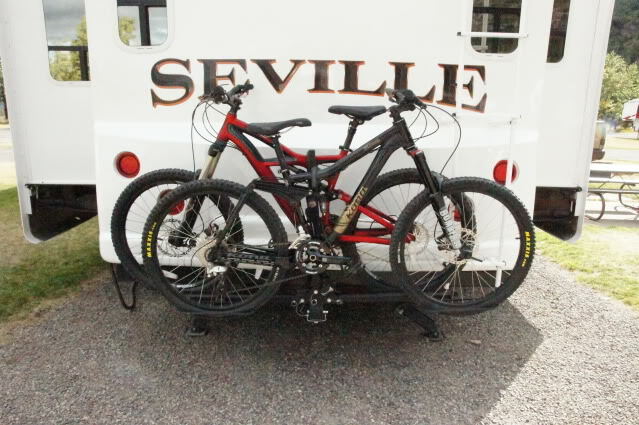 However - Lenny's idea is the best shown yet - his actually shows the Seville frame and the tubes he added below the Seville frame to mount his hitch. He has done his homework - not just applying a standard clamp-on fix to non-standard framework.